It is hard to believe summer break is coming to a close and everyone will begin getting into school mode again. Growing up, I often loathed the thought of summer ending, but the annual trip to the store to purchase new school supplies somehow spurred up some anticipation for the new year. This year I am elated for school to start as it is my first year as the Regional Youth & Nutrition Coordinator. I am very excited to get started and looking forward to seeing all of our area youth in action! This excitement stems from my recent time analyzing self-assessment surveys from students’ Food & Fitness experience this past year. Out of our six county region there are 14 schools active with Food & Fitness Youth Teams. These teams partake in projects throughout the year to improve the well-being of their schools and communities by planning and enacting a variety of projects or events that relate to healthy food choices and active living. The surveys were completed by students who were active in the Regional Youth Leadership Team, as Cafeteria Coaches or Cross-Age Teachers. The surveys addressed questions on if the students saw progress being made and what they learned. The Regional Youth Leadership Team is made up of students from each of the schools participating. They meet three to four times throughout the school year to take part in leadership trainings and team building activities to take back these lessons to their youth teams to better prepare them for the projects they have ahead. It is a time where youth leaders from the area come together with their school youth coaches and the 4-H County Youth Coordinators to train and work together in order to form a collaboration between the schools and communities through 4-H.
Outcomes from this survey showed these youth leaders felt they had benefitted from this experience by learning important life and job skills as they became more confident in public speaking, more thoughtful working in teams and more humble by helping their community. The topic that seemed to resonate the most was their change in eating behavior. 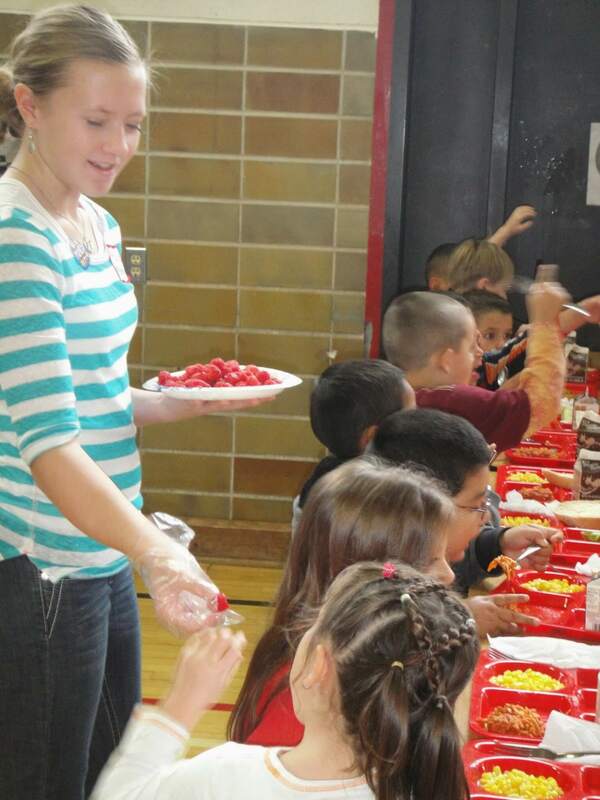 63% of the students felt they learned a lot more about healthy food habits and saw themselves make healthier changes in their lifestyle choices with the hope to model that behavior for their family and friends. This job requires students to coordinate, create and provide presentations, while also having the ability to interact with the younger youth. These coaches reported they improved their skills in working as a team, communicating and creating presentations, while also learning how to approach elementary aged youth about trying new foods and setting a good example. 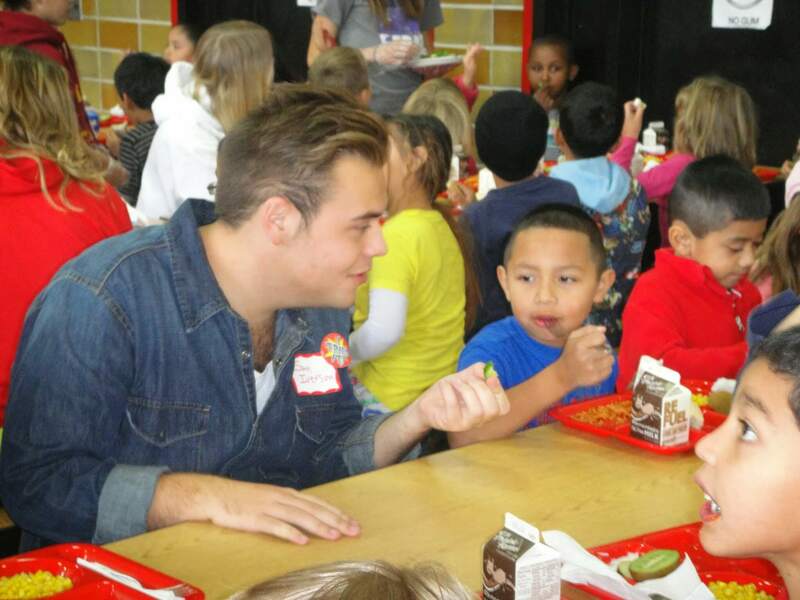 These students reported they felt the most beneficial part of their involvement was being good role models for the younger students and having a healthy impact on their food choices. 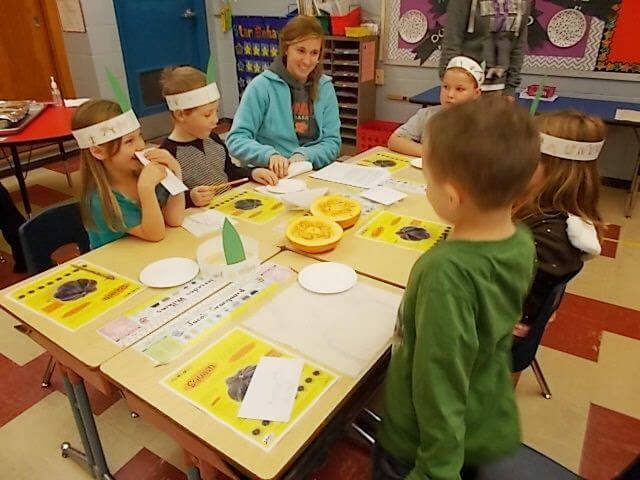 This youth project places members of the youth teams into elementary classrooms where the upperclassmen plan a lesson on a particular food and its nutrition and then present it to the younger students. These teaching teams are assigned to present a new lesson monthly to their designated classroom throughout the school year. 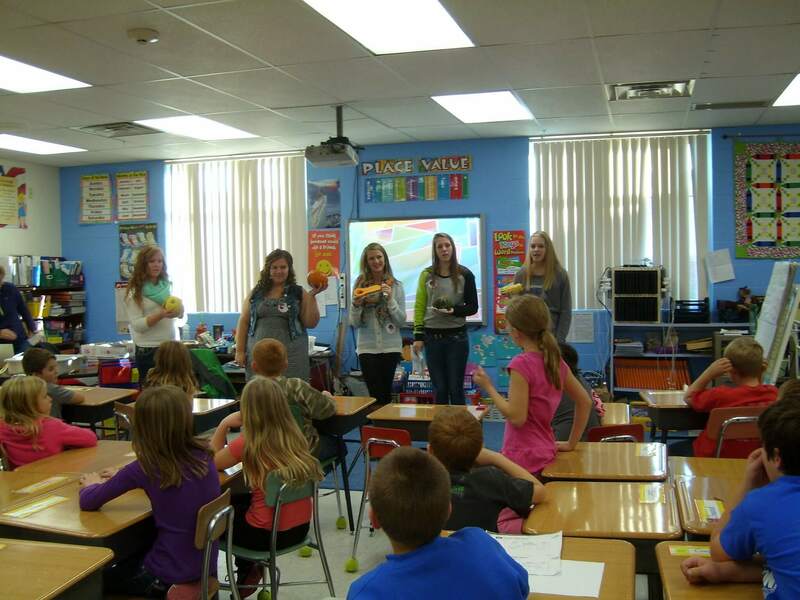 These students really enjoyed this opportunity to “teach” and work with younger students. Many of the team members reported they appreciated this experience because it has taught them teaching skills by improving their communication with various audiences, patience with younger students, and classroom management as they learned being the teacher is not an easy job. 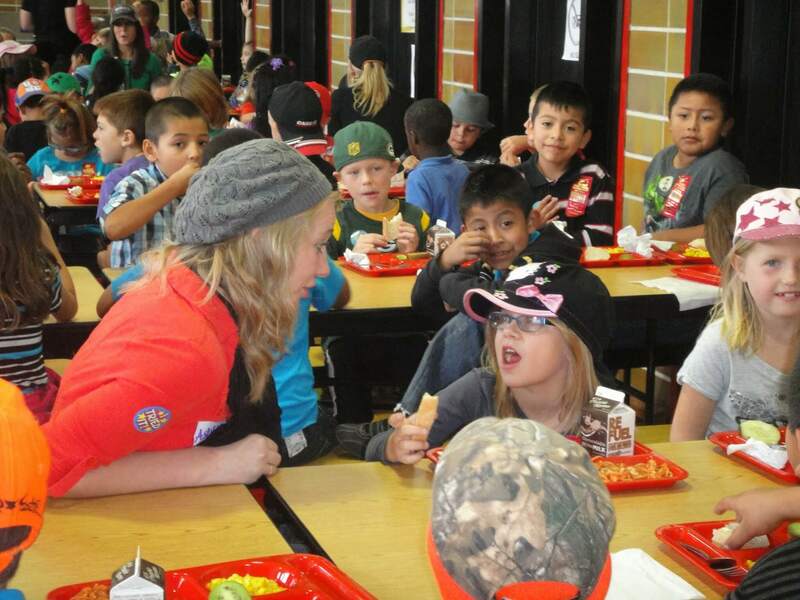 One student even reported they gained a greater appreciation for educators. From what I gathered in the students’ responses about their involvement and what they perceived to be beneficial in their participation in the NE Iowa Food & Fitness Initiative was they appreciated the opportunity to have an impact on their schools and the young students that look up to them. They also have identified the added benefit this program has had on their new found skills which is preparing them to become better leaders and building their resumes for new possibilities in their future careers.